A MAC address is the equivalent to the serial number of a network card. Each MAC address is unique, and so identifies the network card you have installed in your computer. 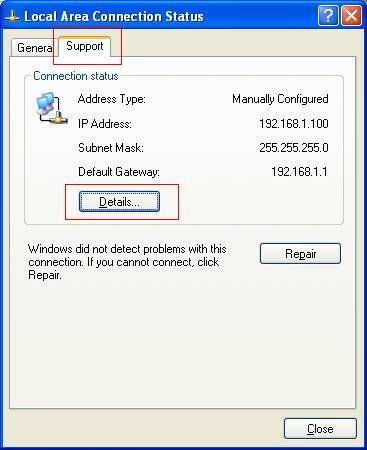 This article will tell you how to discover MAC address step by step. 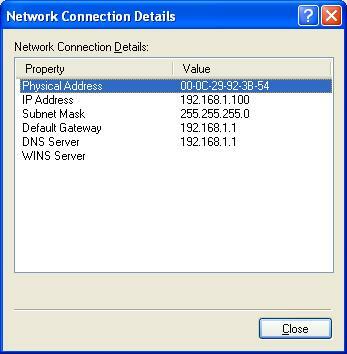 Your computer's MAC address in conjunction with your IP address is used to provide you with the most secure service ITS can offer. Sometimes we need to know the MAC (Media Access Control) address of our PC or laptop. 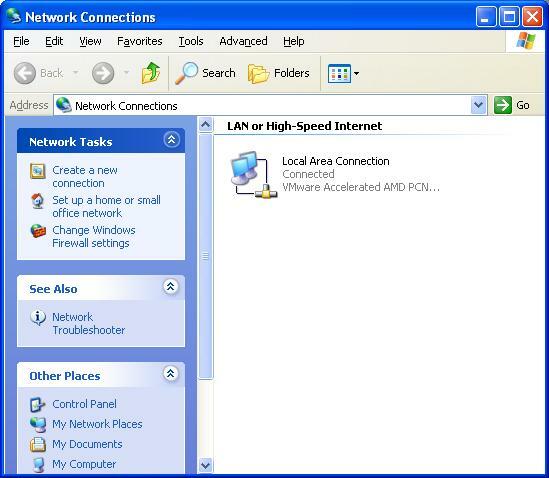 Fox example, you want your laptop connect to a wireless network which is MAC address authentication needed. So you should discover MAC address of your laptop first of all and here's how. 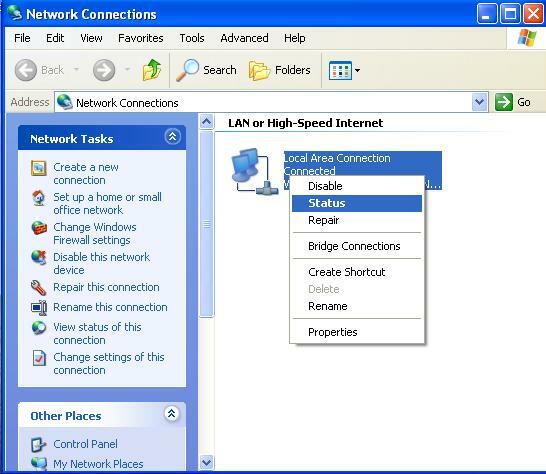 Select your Local Area Connection and right-click, select "Status". In "Support" tab, click "Details". Your MAC Address is the "Physical Address" listed in Network Connection Details.